2ND. LEUT. CO. I. 43, U.S. C. INF. G.A.R. symbolism and markers can be found throughout American cemeteries marking the graves of the men and women who served during the war. These take many forms. 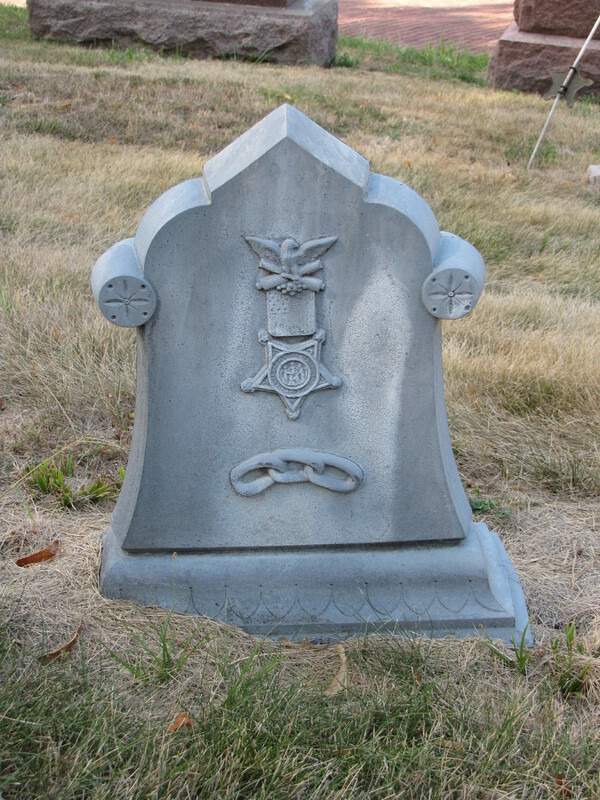 In this case, the grave zinc marker recreates the G.A.R. 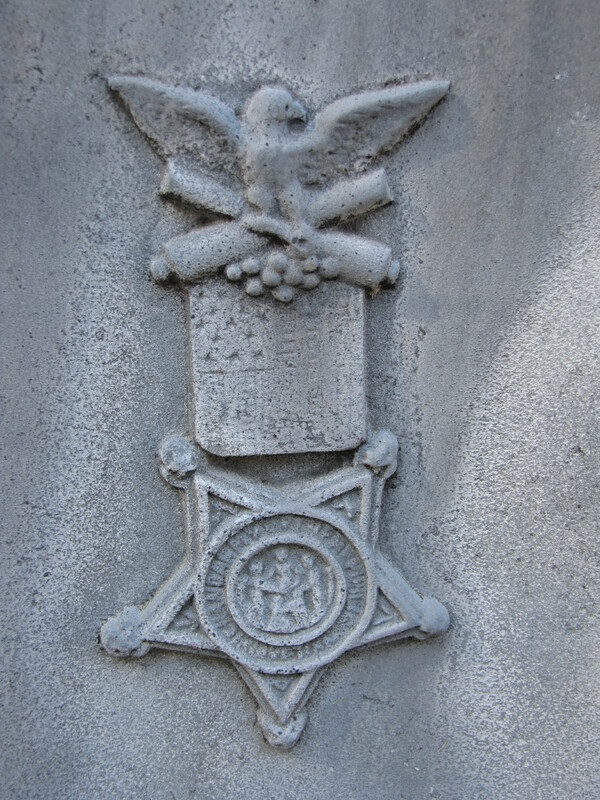 badge worn by veterans of the North–the eagle mounted on crossed cannons and cannon balls, followed by a ribbon United States flag and the insignia of the G.A.R., which was a star. Inside the star was a circle that depicted a sailor and a soldier clasping hands in front of a figure of liberty in the center looking on. This entry was posted in Symbolism, Zinc Markers. Bookmark the permalink.